If y'all haven't already gathered this, jeans and riding boots are my fall goto. Either mixing with a plaid button down and vest, or some sort of top and jacket. But recently I've been wanting to switch things up a bit. The temps haven't really been consistently cool throughout the day for a vest or blazer combo, but I wanted a look that still kept me warm walking to work. That's where the Tie Waist Cardigan comes in. On casual work days and weekends, I've been working this Loft cardigan into my outfit of the day. I pair it with a basic tee or top underneath. I can wear the cardigan in the mornings on my walk to work, or at the office when I get cold. But take it off in the afternoons when it's warmer outside. It's not as heavy as a vest or blazer. The best part is, it comes in more than one color! Shop via the widget or links below! Cardigans are my fave! This one looks super cozy! Thanks Rachel!!! It definitely is. I've lived in it since I got it. Both in my apartment and out, ha! 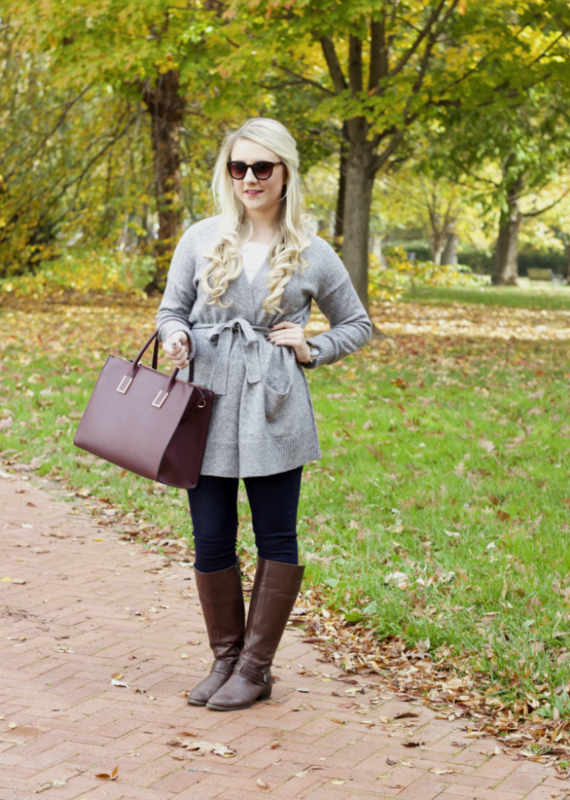 Absolutely love this outfit, Kristyn! 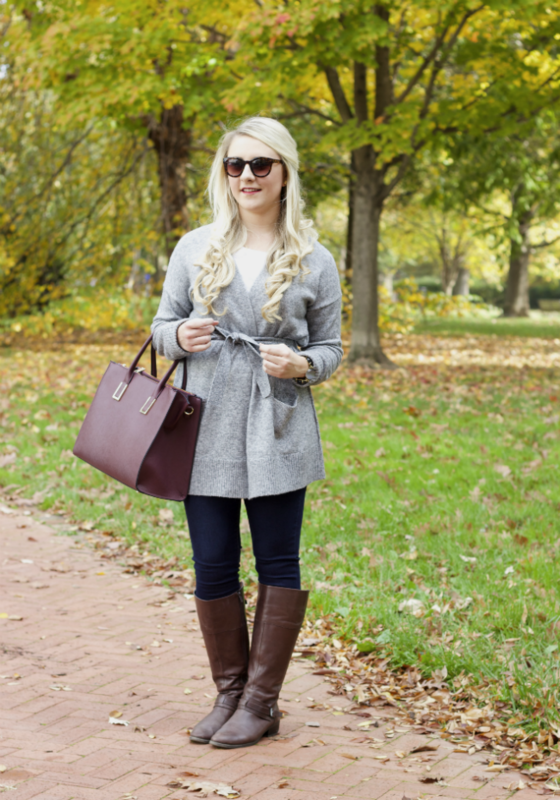 So effortlessly chic and perfect for fall.